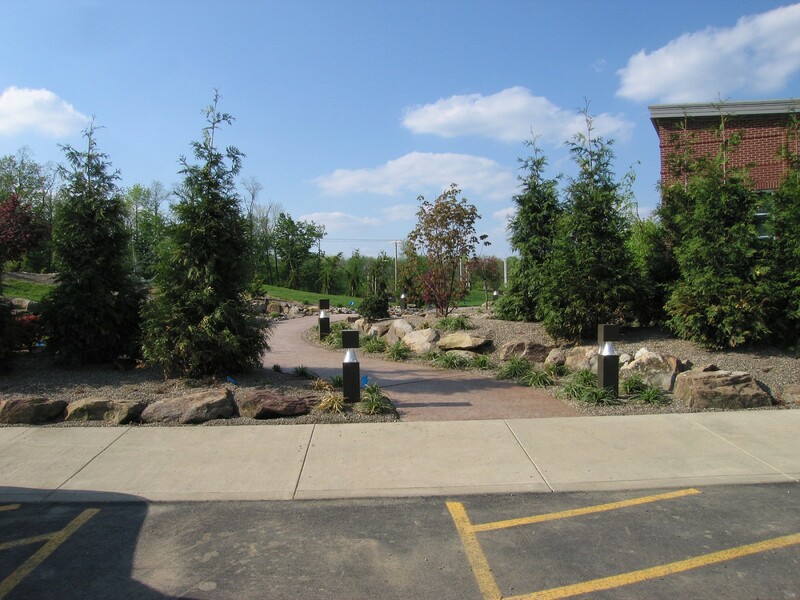 A job I designed a couple of years ago for Enviroscapes, Inc. of Louisville, Ohio was designated the Honors winner in a commercial design category by the OLA, Ohio Landscapers Association. 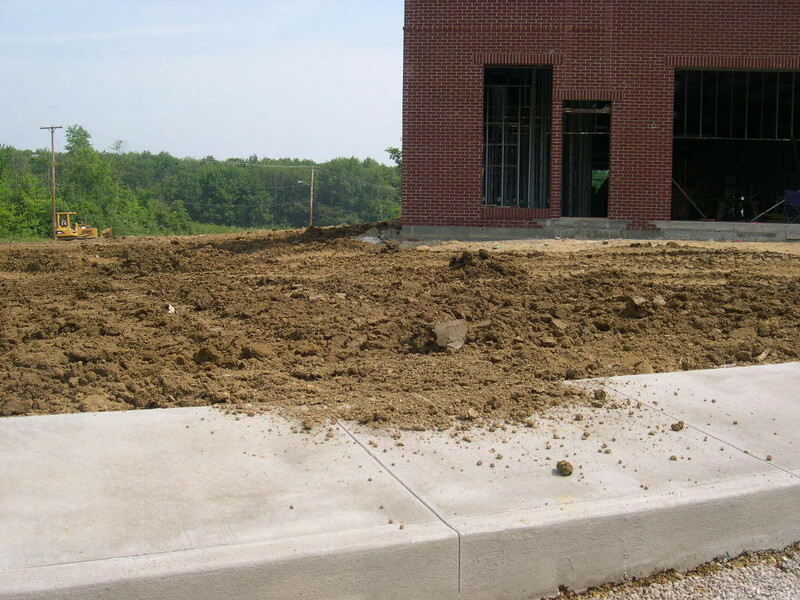 Enviroscapes also won a maintenance award for this project. I remember very specifically being asked to create a Japanese feel to this landscape. The real focus was the walk from the parking lot to the front doors which led me to design my version of a stroll garden for this approach. The owner also wanted a pond with Koi and we gave it to him. You can see in the above 2 shots, I was there very early in the process. I was able to get a lot of input and there was good dialogue through the design process, and good dialogue during the install of the project. A great client to work with. 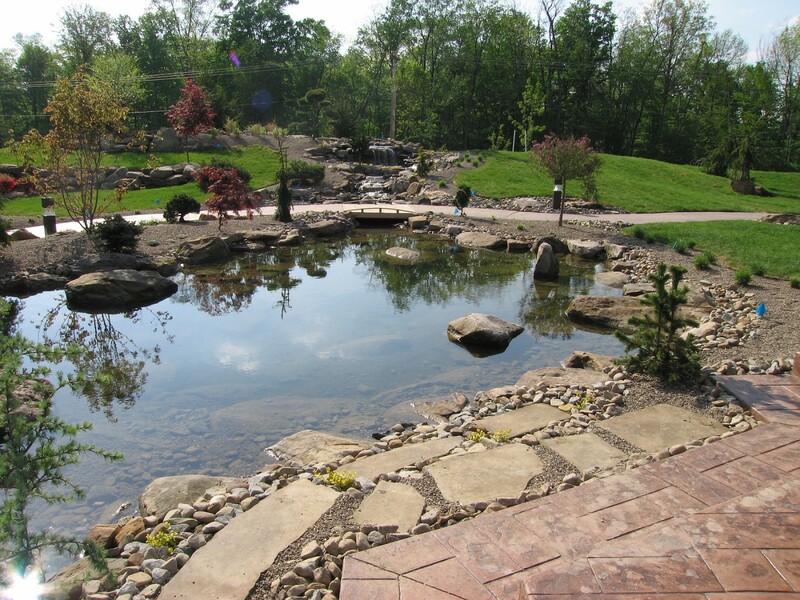 This shot below really shows the pond, stream, falls and bridge(which had to be ADA compliant). This was taken the 1st growing season and it will be interesting(for me anyway) to go back and take shots this June which will be going into the 3rd growing season. I’ll come back with images from then to show the growth in plant material. This garden is really far away from looking peak, I’d say by year 5 or 6 it should really start to look good. When all the background material starts to fill in and have a presence in this landscape. nice job . . . Previous PostPrevious That’s some pretty high grass.